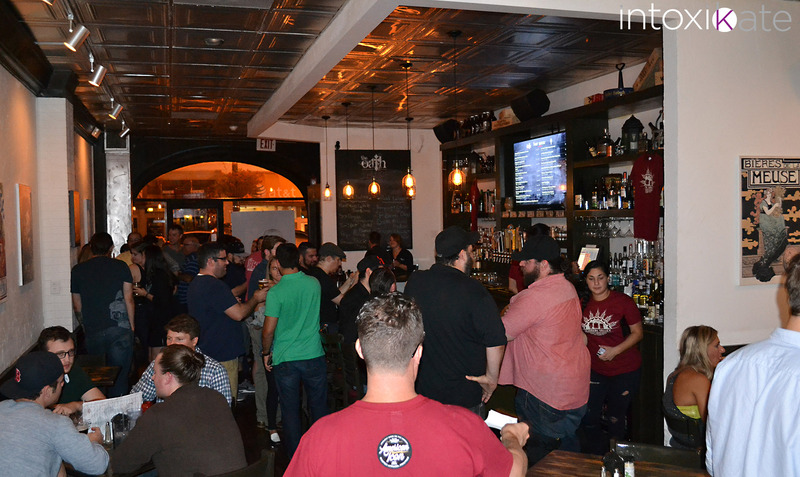 Hudson Valley Craft Beer Week kicked off last Friday with a party at The Oath Craft Beer Sanctuary in Tarrytown, featuring the specialty craft beer creations breweries crafted specifically for the event. The week long schedule of event celebrates local breweries and their contributions to the local beer industry. Tuesday, September 15th • 1 p.m. 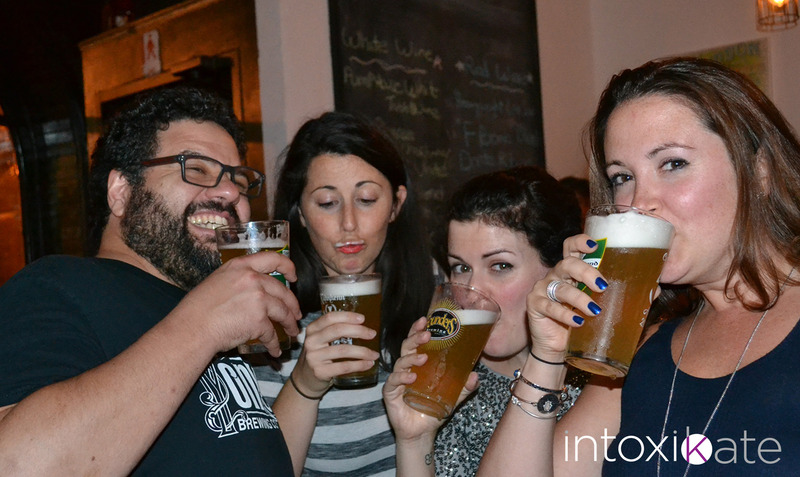 The crew from Yonkers Brewing Co.
PLUS! 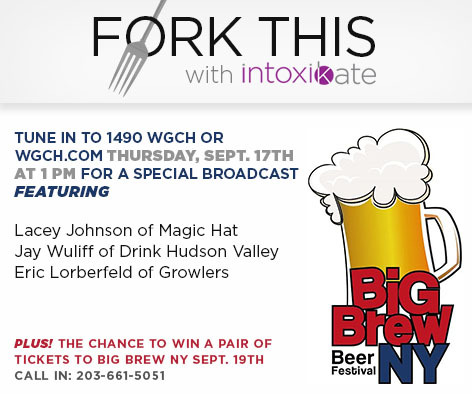 Listen to win a pair of tickets to Big Brew NY Saturday, September 19th. Tuesday, September 15th • 6 p.m.
Dinner pairing 11 breweries with 11 restaurants, including Captain Lawrence Brewing Company, Newburgh Brewing, Empire Brewing Company, Rushing Duck Brewing Co., Broken Bow Brewery, Yonkers Brewing Co., Peekskill Brewery, Bacchus Restaurant, Defiant Brewing Company, Keegan Ales, Sloop Brewing Co., North River Hops and Brewing, The Cookery Restaurant, Xaviar’s at Piermont, Harper’s Restaurant & Bar, Clocktower Grill and Bar, Restaurant North, Rivermarket Bar and Kitchen, The Hop: craft beer and artisanal fare, Daughters Fare & Ale, Fortina, and Coals Pizza. Thursday, September 17th • 1 p.m.
Thursday, September 17th • 6 p.m.
Meet some of the most awesome ladies in the beer industry all working in breweries right here in the Hudson Valley. 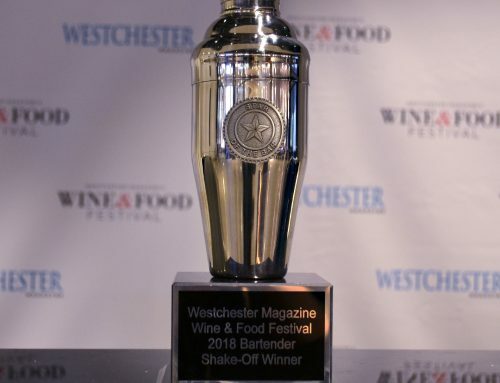 Attendees include Nikki Cavanaugh (Co/Owner, Rushing Duck), Sonia Giacobbe (Co/Owner, Kelso), Sonia Barbaresco (Brew Master, Broken Bow), Kerri Diomede (Brand Manager, Keegan’s Ales) Molly McDevitt (Brand manager, Captain Lawrence), Olivia Cerio (Brand Manager, Empire Brewing). Thursday, September 17th • 7:30 p.m. This Live Music Thursday features the music of Amanda Lee Peers. Amanda is an amazing up and coming musician who has worked with Gwen Stefani and has also appeared on NBC’s The Voice! There is no cover charge. Friday, September 19th • 6-10 p.m.
After over a decade of enthusiastic commitment to craft beer both locally and from all around the world, DeCicco & Sons is thrilled to present their first very exclusive Grand Tasting. 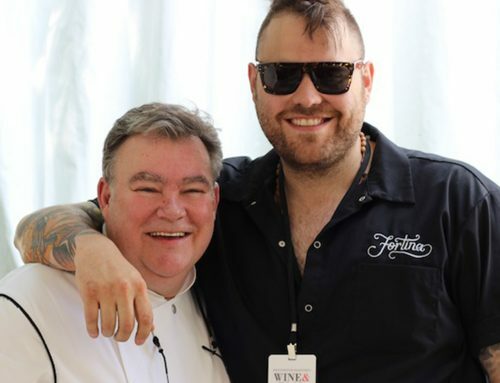 A beer festival meant for beer lovers, DeCicco & Sons’ Grand Tasting will feature over 30 world-class craft beers, as well as a lineup of delicious chef-prepared food pairings to go along with them. This event is the culmination of years of planning, with multiple varieties of rare craft beers being made available for this night only. The Grand Tasting’s tap list can sit among the selections on-hand at the best beer tastings from around the world, so don’t miss out! Saturday, September 19th • 4-8 p.m.
Tickets: $65 General Admission, $10 Designated Driver; Enter code IntoxiKate at checkout for $10 off. The Big Brew NY Beer Festival is a perfect opportunity for beer aficionados to meet and hang out. It’s a great place to discover new beers and speak to brewery representatives, featuring over 200+craft brews and, this fall, pumpkin beer. PLUS! 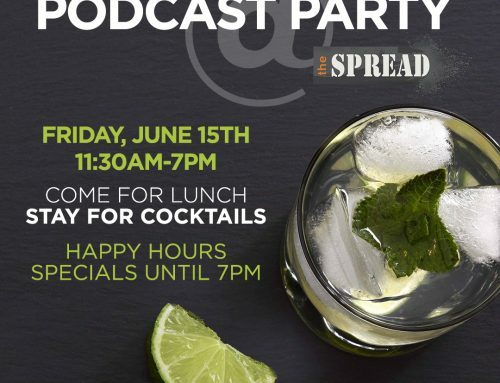 Visit the WGCH booth to meet IntoxiKate creator and radio host Kate Schlientz (aka ME!) for a special live broadcast of Fork This with IntoxiKate. Saturday, September 19th & Sunday, September 20th • 10:30 a.m./12:30 p.m.
Lauren Crowley instructor at Westchester Yogini will be conducting our very own yoga class here at Captain Lawrence Brewing Company on Saturday September 19th 10:30am-12:30pm. Sunday, September 20th • 11 a.m. to 4 p.m.
As an end to the Hudson Valley Craft Beer Week celebration, Peekskill Brewery is throwing an all-inclusive Brewer’s Brunch sourced with local Hudson Valley ingredients. All 11 HVCBW beers will be poured and paired with buffet stations. Mingle with the brewers, enjoy local music and maybe even nurse your hangover from all your weekend fun. You must be 21 years of age of older to attend Yonktoberfest.